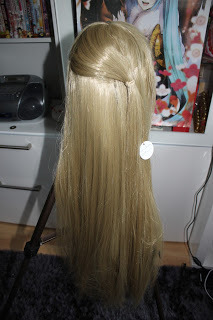 Today I’m going to do my first review (ever) for Wig-supplier / L-email. 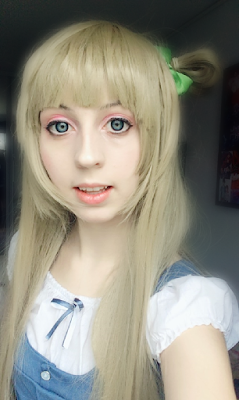 I chose the Kotori Minami wig from Love Live! and made a video about it. They currently have a big sale on the wig! 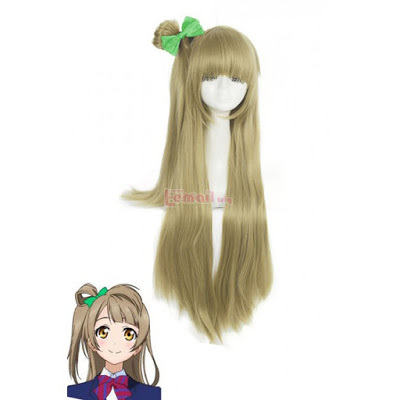 Free green bowknot together with the wig!! Shipping to my country, Sweden took about 20 days (not even 3 weeks!!) and it came in a small package. The unpacking of the wig can you find in the video above, so if interested then check it. 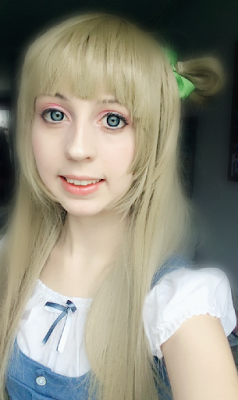 I love this wig because it looks exactly like on the pictures and the style is same as Kotori´s! This store has amazingly cheap prices for a good quality. 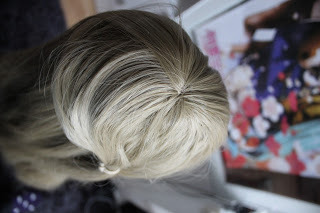 As you can see, the wig is in a beautiful shade of blonde/brown (or what is it called?). Even when I took pictures with flash, the wig doesn’t look too shiny as cheap wigs and it is really soft. 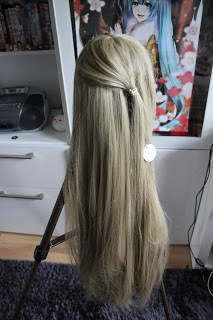 It doesn’t tangle much, but a recommendation is to buy a wig stand since the wig is very long (nearly 1 meter!). The wig is not glued so the hear doesn’t fall off much when I comb it with normal brushes for my long hair. The wig cap is adjustable with hooks so it makes it comfortable to wear on your head. It barely shines even when I took pictures with flash on. The often has sale on this wig and the price is P-E-R-F-E-C-T. It cost only $15 even tho it is so long. It is really affordable than a lot of online stores. This is the most soft wig I ever had and it the hair doesn’t fall out much even when I brush it with a normal brush. I am extremely pleased with the quality of their wigs. I guarantee that your money will not be in waste with this wig. You can also buy costumes from them! 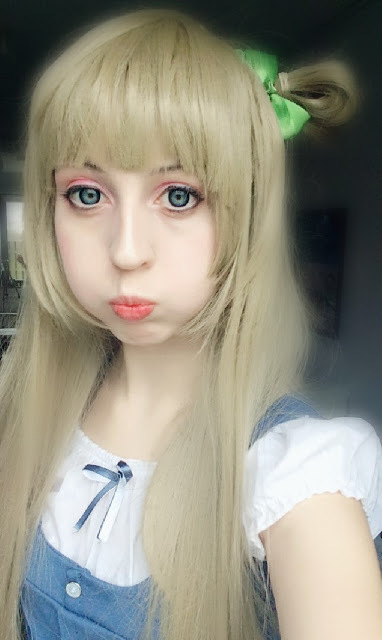 This entry was posted in Buy Cosplay Wigs, Fashion Wigs, L-email Wig review, Wig Maintenance and Care, Wigs, Wigs Hairstyle Selections and tagged anime cosplay, anime cosplay wig, anime wigs, best cosplay wigs, blonde wigs, cheap blonde wigs, cheap cosplay wigs, cheap wigs, colorful straight wigs, cosplay, cosplay ideas, cosplay store, cosplay wig, cosplay wigs, fashion wig, L-email wig review, L-email wigs, straight fashion wigs, wig, wig store, wig-supplier reviews, wigs.